Vineyards that reach as far as the eye can see…hills and medieval villages…and then there are the clear waters of the Tyrrhenian sea. This is the scene that welcomes you upon your arrival. It is called the “Etruscan Coast,” and it is one of the most evocative corners of Tuscany—a beautiful image that never fades, one that is unsurpassed in its magnificence. 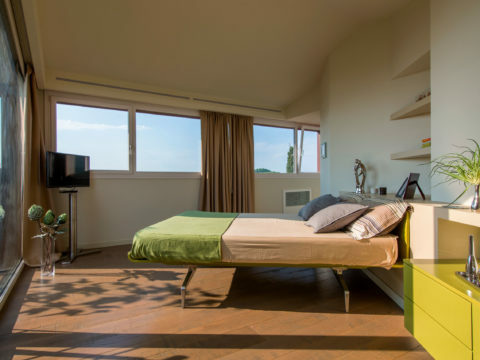 It is here that you will find this most unique property: a newly built, 400 square meter, luxury villa, designed by a well-known Italian architect. The villa is bright and will give you the feeling of being one with the surrounding nature. 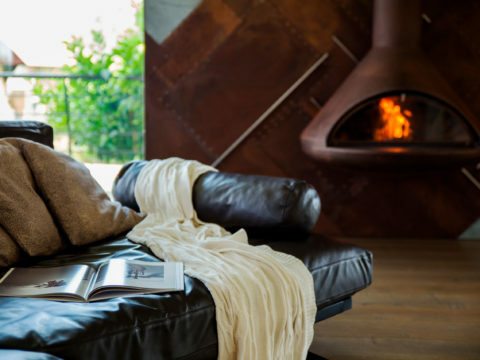 On the ground floor, the entrance leads to the living area, a spacious open space with a fireplace and privileged views of the garden and swimming pool. The kitchen is characterized by its discreet presence and demure décor. Next door, you will find another living room with a kitchenette, along with two bedrooms and two bathrooms. The upper floor is equally interesting, with its multi-purpose rooms, bathroom and three other accessories. Moreover, in the basement, there are four rooms which can be adapted perfectly to any possible need or use, along with another bathroom and a mechanical room which also doubles as the laundry room. The villa is surrounded by a fenced garden of 1,270 square meters with three entrances. The garden is also home to a swimming pool with a Jacuzzi, a storage room and a parking area. Given all of these elements, it’s easy to say that the house is well-suited for quality entertaining. Also not to be overlooked is the barbeque area which comes complete with its own sink and oven. While still in the planning phase, maximum emphasis has been placed on environmental and energetic sustainability. 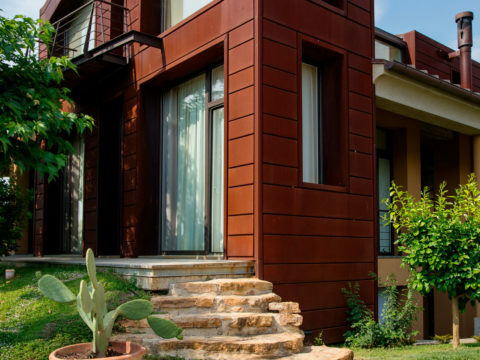 The villa is equipped with every technology possible to ensure energy savings and comfort—to include a modern alarm system. 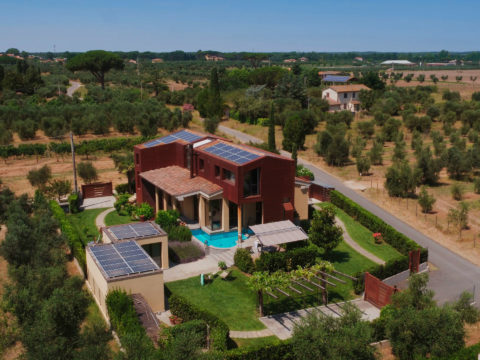 In addition, a series of solar panels makes it an extremely advanced and innovative place, while the house still manages to blend perfectly into its natural and quiet surroundings, being just a short drive from Bolghieri and the sea. It is a most unique property—one where modernity, nature and history live harmoniously with one another. And then, a short distance away, you will find the sea—and what a glorious sea it is! The Tyrrhenian sea boasts a range of shades ranging from blue to emerald green, which are repeatedly celebrated by dozens of European Blue Flags. It is here that you will find 90 kilometers of uninterrupted coastline, perfect for swimming, where the quality of the water and the services dedicated to those who are lucky enough to live there and tourists alike, is second only to the quality of life that one finds there. Here you can find wide, sandy beaches, along with sections of coastline characterized by gravel and rock, where the depths of water there ensure unparalleled experiences for those who want to equip themselves with fins, masks and cylinders, as well as for those who love sailing and/or deep-sea fishing. From Livorno to Piombino, one will come across the various famous names of the following picturesque, Italian locations: Marina di Castagneto, Bibbona, Quercianella, and Castiglioncello. In these places, tourism cohabitates beautifully with the rhythms of local life and it’s not at all difficult to find well-equipped ports for pleasure boating. Furthermore, the splendid island locations of Elba, Capraia and Giglio—famous for their many kilometers of beaches and transparent waters, are easily accessible via ferry. Last but not least, we cannot forget the wonders of the many medieval villages that dot the Etruscan Coast, as these places are overflowing with magic, history and remote charm. They also serve as a celebration of the Coast’s more ancient past. Amongst those on the “must-see” list are: Castagneto Carducci, Bolgheri, Bibbona and Populonia, but these are just a few of the most well-known names from a land teeming with small, hidden corners that preserve their ancient histories. Here, the natural landscape intersects perfectly with the work of man, for it is in this magnificent corner of the world where landscapes of rolling hills, cypress and olive trees coexist in perfect continuity with villages, churches, and architecture so steeped in charm that it really has no equal.